THE Chinese navy hospital ship which arrived in Port Moresby yesterday will begin a week-long free medical treatment of locals from today. Ship commander Rear-Admiral Guan Bailin said the medical team on board would also invite local doctors to be part of the exercise on and off the ship. The Chinese embassy is expecting 600 people to receive treatment. Bailin said they would treat all kinds of medical issues. He said the ship last visited Papua New Guinea in 2014. Chinese Ambassador Xue Bing said the arrival of the ship also strengthened the relationship between China and Papua New Guinea. 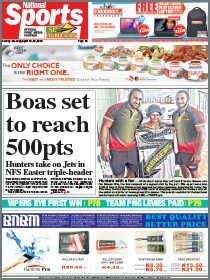 “China has always attached a great importance to its relations with PNG since the establishment of the diplomatic relationship 42 years ago,” he said. Bing said he had seen a frequent exchange of high level visits, increased cooperation in trade, investment, military and people to people. 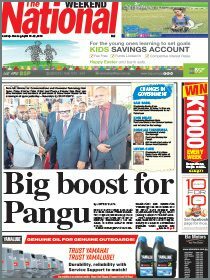 “Just 20 days ago, PNG Prime Minister Peter O’Neill made a successful visit to China, further strengthening the strategic partnership featuring mutual respect and common development between our two countries,” he said.